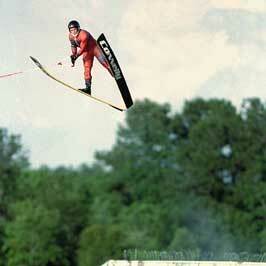 Since childhood Kenny Vaughan chased a dream of winning a national championship in water-ski jumping. That dream eluded him year after year, turning instead into a nightmare from which he couldn't wake. Year after dreadful year (15 to be exact) he'd make it to the national tournament only to lose in some dramatic fashion. Every year his friends and family would encourage Kenny assuring him that this year would be his year. With a confident smile and a bravado expected from an elite athlete, Kenny would tell them that they were right. Only he knew the truth. Only he knew how scared he was. Only he knew how fear had conquered him. Before the 1996 tournament, his girlfriend, Tammie (now his wife), knew something was bothering him. Kenny finally let down his guard and confessed his fears to her. She knew just what to do. To help calm his nerves Tammie used a Sharpie to write Bible scripture on the handle of his water-ski rope. Kenny appreciated the encouraging gesture but he didn't know how something written on a ski rope handle could help him overcome his fear. Then he did something right. He meditated on and prayed about the scripture Tammie had written. It was then that God, through His scripture, spoke to Kenny. God's Word weaved a path from the ski rope handle to his head and ultimately to his heart. Lives change when God's Word is planted in a heart. Kenny's sure did. After 15 years of failure, Kenny finally realized his dream: He won the 1996 national tournament. He learned how to act on God's Word, to be a "doer" of His word and not just a "hearer" as one scripture in James puts it. This lesson affected him deeply and changed his life forever. To remind himself of lessons learned he made a dog tag with the scripture from his handle engraved on it. He wore it under his shirt, but it didn't take long for someone to notice it and ask about it. Kenny shared his testimony and gave the dog tag away. He made another one. Same result. Kenny realized other people needed God's Word as much as he did, and it was at that moment "Shields of Strength" was born. For the complete story we urge you to read Kenny's book, Shields of Strength, which can be found on our website. A trend soon developed. He'd have a few of the dog tags made and within days they'd be gone, given away to family, strangers, young, old, men and women. Kenny couldn't give them away fast enough. God was at work and all Kenny needed do was stay faithful and hold on for the ride. And what a ride it's been. It was December 1998 that the first Shields of Strength were placed in a store. They sold well enough that by 2001, stores across the country were carrying them and on one fateful day they caught the eye of Colonel David Dodd. Colonel Dodd was in command of the 86th Signal Battalion, and he and his troops were headed to Afghanistan for the start of Operation Enduring Freedom. When he contacted Kenny and Tammie about buying some in bulk they graciously gave Colonel Dodd 500 Shields for his combat-ready troops. Born that day was a lifelong friendship and relationship between Shields of Strength and the military. The most popular "tag" for most soldiers was emblazoned with the U.S. Flag and engraved with Joshua 1:9. It's this "tag" that made its way to a young Army Captain named Russell Rippetoe, a name that still brings tears to the eyes of those in the SOS family. In 2003, while serving in Iraq, Captain Rippetoe was killed in action while wearing a Shield of Strength. He was the first American casualty of Operation Iraqi Freedom to be laid to rest at Arlington National Cemetery. The following month, during the 2003 Memorial Day Ceremony at Arlington National Cemetery, President Bush referenced the dog tag Captain Rippetoe was wearing and read the scripture engraved on it. It was a surreal moment for Kenny and his family and they had no idea and no way to prepare for the media storm to come. The first phone call was from the Associated Press, followed by Fox News and CBN. Overnight Kenny's small family-run outfit was overwhelmed with the number of people wanting his dog tags. Trying to answer the phone calls and emails was like drinking from a fire hose; it was impossible to take them all. One call Kenny didn't miss, however, was from Joe Rippetoe, Russell Rippetoe's father. Joe, who like his son was a veteran of war, was so taken by the Shield of Strength his son had worn that he wanted to make sure that each of the other soldiers from Russell's unit had one. He and Kenny became fast friends and the elder Rippetoe became a virtual megaphone for Shields of Strength. Since that time Kenny and Tammie have made over four million of the dog tags and have given hundreds of thousands of them to the U.S. military as well as other ministries. In fact, Stephen Mansfield wrote in his book, Faith of the American Soldier, "aside from the official insignias they wear, [the SOS dogtag] is the emblem most often carried by members of the military in Afghanistan and Iraq." Many of America's allies wear them as well. For instance, The British Royal Army has ordered as many as 8000 at a time for their troops. Through it all Kenny will repeat to anyone who will listen that seeing the impact Shields of Strength has had in lives of countless people across the world is, in his words, "the most humbling experience of my life." Over the years the popularity of the dog tags exponentially grew and crossed all demographics. Churches use them as outreach tools, hospitals for encouragement, athletes for courage, and thousands of others for the hope they instill in helping them overcome their personal trials this life always finds a way to bring. Kenny says "My favorite thing to do is to take one off my neck and give it to a stranger." As their popularity grew so did the selection of specialty tags. From athletics to various vocations and hobbies, there's a Shield of Strength that fits most every need. It brightens our day when we see police officers, fire fighters and EMS professionals wearing some form of SOS. Many professional athletes from a wide range of sports wear Shields of Strength as well. We're BIG fans of various sports around here and we'd be lying if we didn't admit that seeing some of the sports world's biggest stars wearing our jewelry didn't make us a little giddy. Sometimes we feel like the young kids screaming for autographs before and after games. Some of the professional athletes wearing SOS include Tim Tebow, Ronnie Coleman, Richard Sherman, Earl Thomas, Ray Lewis, Christian Michael and Robert Griffin III. 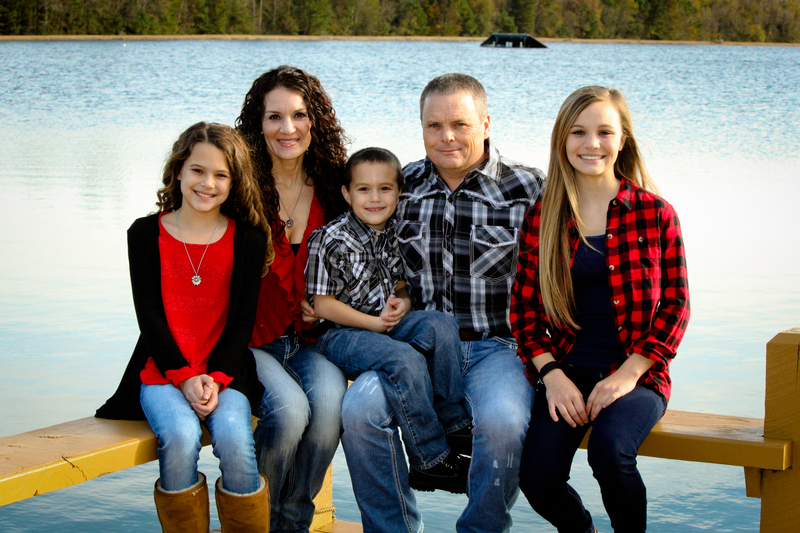 In 2011 an idea came to us from Rodney Burks, a local high-school powerlifting coach, that not only fanned the flames of innovation at Shields of Strength but helped us build relationships and forge paths with people and in areas that we otherwise never would have. Coach Burks asked if we could make a replica of a weight plate that his lifters could wear on a chain. After several conversations and a few hand-drawn designs we decided that, yes, this is something we could absolutely do. However, after receiving the first prototype we knew something just wasn't right with the design In a stroke of brilliance, we decided to slightly increase the size of the hole in the middle and pass the chain through the center of the weight plate. It looked awesome! After seeing the final prototype we knew this weight plate was a good idea. Time would prove to us just how good of an idea it was. Once these new weight plates were discovered by the fitness crowd we couldn't make them fast enough. And that one idea, that one weight plate design, has now morphed and grown to include everything from dumbbells to kettle bells. It didn't take long for some of the most influential names in the fitness industry to take notice of our unique designs. In fact, the weight plate has become so popular that today when anyone sees the round plate with the chain through the middle, they immediately know it's a Shields of Strength. As exciting as our growth has been, we will never let anything deter us from our true mission or vision. They are both the same today as they were in the beginning: To share the love, hope, forgiveness, and power of God’s Word with others and to see people victorious in life’s battles and in a relationship with Jesus Christ.